No one wants to feel like a tourist. And these days, people don’t even want to feel like travelers but want to experience a place like a local. Luckily, there is an app for that. Multiple apps even. From sleeping in a local’s apartment to getting them to cook you a meal there, or to find a perfect location to enjoy your weekends, you can plenty of good quality apps for these kinds of purposes. This time we are also here with a review for an app of the same kind that is named, Skigebiete DE-AT-CH. 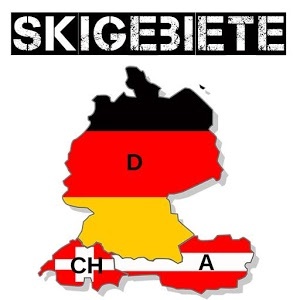 Skigebiete DE-AT-CH is the best platform as well as a navigation tool for people who love to skiing or snowboarding location as this app brings you the navigation and many other trip-planning features to visit this kind of places around your location. Finding your desired ski resorts is quite easy using this app, all you need to do is to select the city you want for ski resorts visit and the app will display the entire ski resorts. Now from there you can tap the ski resorts and can get info about the opening and closing times, ticket information, map details, visit the official website or also you can also place a call to the ski resorts information center for more info. The app comes up with quite clean and cool interface and everything is organized so well, giving its users a great level of service. Moreover, another amazing thing about this app is its event calendar that brings the current events occurring in the particular area so that you can plan your next trip to attend these events and enjoy at your best. Presently this app is available free for Android OS devices and you can have it free for your devices from the direct download link present at the end.